- It was a beautiful, warm day that felt great after three solid days of rain. And it's back to rain today. But it made for a better day for our outside volunteers. - I can't express how much I appreciate our volunteers ... from the parking lots, to outside greeters, to those serving in the cafe', to those working with kids, those in the tech booth and our translators, those in the band, etc., etc., etc. You all rock!! We couldn't do it without you. - LOVED the music our band did yesterday. Passion's White Flag is fast becoming one of my favorites. - Eric, our worship director, has just gotten better and better. He makes it easy to preach after leading worship the way he does. - I continued our series on Momentum yesterday. Talked about living life on purpose. Without it, life seems tiresome, unfulfilling, useless, insignificant and uncontrollable. - But God infuses us with purpose and meaning the moment He enters our lives. And our main purpose in life right now is to prepare for eternity. - Challenged us to use our time, talent - and in light of March 10th's commitment - our treasure. Actually, it's not our treasure. It's already His; He just let's us steward it for a while. - Which reminds me: March 10 is our Momentum commitment Sunday. We are believing God for $5 million in commitments in cash and a two-year pledge in order to construct a new facility so that we can make more room for more people to hear the gospel. - Do I have faith God can do this? Yes! - If you would like to view the video we created for this, click here. - I had two significant meetings on all of this late last week which were incredibly encouraging. Just seeing and hearing people living out their faith in some tangible ways is fantastic. - Met a 91-year old lady yesterday who said, "I just love the worship here!" One of her balances out 10 critics. - It continues to do my heart good to see increasing number of Spanish-speaking people attending LCC. We have been intentional in trying to reach this segment of our lowcountry culture and it's paying off. Their worship and faith inspires me. - I'm still thrilled by the fact that two Sunday's ago we saw 126 LCCers sign up to volunteer for ministry. And over 60 alone for our Promiseland Kidz, an area in which we always have volunteer needs. - Our pastors are all growing beards as something fun to do during the Momentum campaign. Some look good; others, well ... We call them the Beards of March. So far, they have been wildly unpopular with the populace, but I remind people of what the famed British preacher, C. H. Spurgeon said to his ministerial students, "Grow your beards! A habit most natural, scriptural, manly, and beneficial." His words have appeared to have no effect on our friends and loved ones. - We wrapped up the series "Old School" where we studied and made applications to our lives from five Old Testament saints: David, Jonah, Elisha, Samson and Ruth. - Yesterday we extracted principles from David's life in 1 Samuel 23 and discovered some ways in which we can discern God's will in our lives. - The question I have probably been asked most often during my years in ministry is, "How can I know God's will?" - The five principles that we should work through as we are seeking God's will are: Scriptural confirmation, external circumstances, a multitude of godly counselors, inner desires, and the peace of the Holy Spirit. - The message will be up later this week on our website. - But our crack team was on top of it and got things sorted out by the second service. So no lighting issues then...only a lightning storm! - A few times, as the rain was pounding the roof, and lightning cracked above, we had a few loud pops and surges - it kept us all on our toes! - The coolest part was when our sax player Dean was playing this really soulful solo, and the thunder was rolling above us ... just adding to the drama of the experience. - We then enjoyed some great fellowship after the service...no one wanted to leave! Was it the preaching? The music? The sense of love as the family of God worshipping together? No - it was raining so hard no one wanted to go outside to their car! But I overheard one person say, "This is great! I got a chance to visit with folks I haven't seen in months!" - And on Saturday, August 14th, we celebrated our 16th anniversary as a church. In 1994 a group of about 50 people gathered for the first official worship experience as the Church at Hilton Head. They met at Tom and Nona Mosley's home in Moss Creek. - And Mosley's, I know you're probbaly readng this, so let me shout it from the rooftops: THANK YOU for the incredible foundation you laid. You two are awesome and we love you! - When we look back over these years, we cannot help but be blown away by God's faithfulness. Since that first day, thousands of people have heard the gospel and said yes to Jesus, hundreds have been baptized, and many are serving Christ overseas as missionaries. 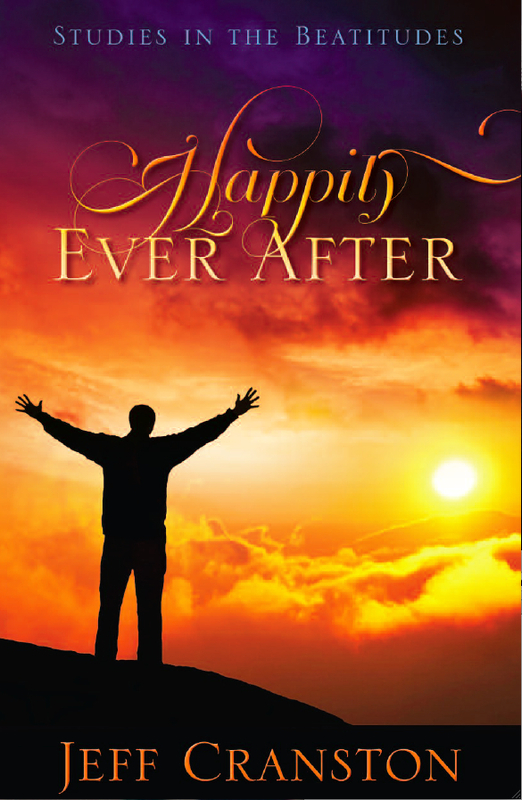 - This Sunday we kick-off a brand new series called "Happily Ever After." It's a seven-week study of the Beatitudes. Can't wait! - I watched the movie "Inception" last week. As I sit here typing this, I cannot recall anything about the film, never understood what it was about, thought it was completely weird, and felt like it was a colossal waste of time. Yet everyone I know who has seen it has raved about it. What the heck did I miss? - Join me at THE NINES on 09/09. "Game Changers" for church leaders is the theme. It's entirely on-line. Register for free here. Our entire LCC staff will be participating that day. - Have a great day, everyone! - What a great day at LowCountry yesterday! - Pastor Todd preached at the Bluffton campus and four people prayed to receive Christ! THAT NEVER GETS OLD! - I had the privilege of speaking at the Hilton Head campus and really enjoyed my time there. I'm trying to preach there every five to six weeks. - We do need to do something about the A/C there though; either that or our next summer series will be on Hell and we'll entitle it: "And You Think It's Hot in Here?" - The worship and the spirit of the congregation was vibrant and alive...and the place was slam-packed. - I enjoyed preaching on Jude's doxology (vss. 24-25) ... we began by me singing a doxology I recalled from my younger days...yes, I sang! I was more nervous about that than the rest of the message! Others joined me (thankfully) as we sang another doxology which many knew and remembered. Brought back a lot of memories for some...a few even teared up! - Afterwards, we had lunch with some local friends and a visiting, believing family from Northern Ireland. We really enjoyed our time with Graeme, Sharon, Erin, and Katie. My first Irish friends! My great-, great-, great-, great-grandmother, Sarah Mullins, who emigrated from the Emerald Isle would be proud. - What's the one truth I will remember from yesterday? GOD IS ABLE! - Tubing, wakeboarding, chasing around Bear (the world's greatest dog), and more fun stuff comes later in the day. - Meeting with our interns later today. We're really enjoying their ministry among us this summer. Three are from Liberty University and one from Toccoa Falls College. - The winner of last Friday's "So You Think You Know?" is Barb Weatherwax! The answer is that the paragraph does not contain the letter "e". Six of you correctly guessed. A copy of F. W. Boreham's Loose Leaves is on its way to Barb today. Thanks for playing. By the way, I grabbed that brain-teaser from the Car Talk Puzzler. - Guys, we really are babies when we're sick, aren't we? It's pathetic! - But it didn't stop me from having an enjoyable lunch date with our youngest daughter, Emily, at Hampton Lake. Sure enjoyed my time with her. - Great day today at LCC on both campuses. LCC-Hilton Head had their largest "regular" Sunday attendance with over 170. Can anyone say, "Three services?" How about, "larger worship venue"? +Don't tell God how big your giants are. Tell the giants how big your God is. +To decide to delay is to decide to deny. +You will be criticized by those closest to you when you step up and decide to face some giants in your life. Expect it and then overcome it. +The Israelite army looked at Goliath and said, "He's too big to hit!" David looked at him and said, "He's too big to miss!" - Speaking of Serve Day, we are totally pumped!! Our church leaves the building next Sunday to do dozens of service projects all around our communities. It's always a blast and God gives us many divine opportunities that we don't even know about yet. - Need more information, want to view available projects, or nned to sign up for Serve Day? You can do that here. - I've been invited to speak at the one of the country's largest Celebrate Recovery groups ... at Cokesbury United Methodist Church in Knoxville, Tenn., February 4th. I am pumped...almost 500 people in recovery show up every Thursday night. It is awesome. Check them out here. I'll be speaking on insecurity. - Great to be back at LCC yesterday. I always miss everyone when I'm gone. - Yesterday was all about contentment and, no, I do not have a fetish for Tag Heuer watches ... just an unhealthy, unfulfilled obsession. Here's my favorite one (notice the color...isn't it beautiful!?). - Contentment is living with what you have and being available when God asks. - In this new series called "Revolu$ion," we'll discover that people who are financially free trust God, save consistently, spend intentionally, build purposefully, and give freely. It's going to be a blast! - "Stuffitis" is when we have an insatiable desire for more and better stuff - it's the Elvis-head Chia Pet syndrome... "I just gotta have it!" - Last year, over 5.3 billion credit-card offers were put in our mail-boxes and, according to CardTrak, Americans currently have $660 billion (that's a "b") in credit card debt. Hebrews 13:5 really puts this in perspective. - Generous giving - whether it's of our time, talent, or treasure - also helps keep things in perspective for us. And God owns it all anyway (Ps. 24:1). - The balance in the bank and the numbers of the paycheck aren't ours. They are resources God has blessed us with. They all belong to Him and we show Him honor when we give back our first fruits to our Provider. This reminds us of who we are and who He is. When you teach on “felt needs,” you aren’t watering down the message. You are helping people find forgiveness and healing and a new direction for their life. It’s easy to preach through the Bible. It’s much harder to preach to hurting people who need to understand how the Bible applies to their lives. When the person sitting beside you is dealing with a marriage crisis that’s leading to a crisis of faith, it makes your preferences of music and volume seem pretty small. When you neglect the mission field in your neighborhood because of your desire to help people across the ocean, I wonder if you’re just choosing the path of least resistance. When you choose to focus on your theological differences at the expense of helping people find healing and hope, could it be that you haven’t spent enough time living out your faith because you’re too busy defending your faith? - Lauren surprised me and made a quick trip home from Atlanta this weekend. It was so good to see her again. - Bear, the world's greatest dog, hung out with us this weekend. Tiff and Bryan went to see our Tigers paste Wake Forest. Wins sure do feel better than losses. - So, what's on for this week? As always, getting ready for Sunday, then catching up on over 100 emails, blogging, heading to Atlanta with our youth ministers, Rob and Aaron, to check out Grace Fellowship's youth ministry, annual staff evaluations, meetings, and getting over jet lag. - Have a great one! - At LCC yesterday we examined how to handle conflict in a biblical manner - which is always the best! 2. Avoid the words, "if," "but," and "maybe." 3. Admit specifically both attitudes and actions. 7. Ask for forgiveness and allow time. - Ever wonder how to pronounce those hard-to-pronounce Bible words or names? Here's a website I use from which I learned to correctly pronounce Euodia and Syntyche. - My Mom and Dad were visiting with us this weekend. It was great to have them here again. - The video lead-in to the message highlighting Ohio State football was definitely NOT my idea! - We dedicated some of the sweetest children yesterday. I love child dedications! - After church we went to one of our favorite restuarants, Fiesta Fresh, (where we saw about a dozen LCCers). Their Fiesta Grilled Chicken Salad is the best around! - Busy week ahead as I prepare to leave for the U.K. again on Thursday night. I'll be with the great people at Longton Community Church near Preston, England. God is doing some great things there and I can't wait to see it all first-hand again. - LCC peeps, we have our third annual Clothing Connection coming up again on November 14th. We need your gently used clothing, shoes, baby furniture, and household items. Sorry, no toys accepted. Please bring your donations to the Bluffton campus on Sunday mornings, or Monday through Thursday during normal business hours. Please call Alaina at 843/368-1752 to help sort or for more information. You can also click here and Mark will give you more info. Let's all get involved; it's one of the best outreaches of love we make to our communities. - That's the same weekend as our church's senior high retreat up in the S.C. mountains at an awesome place called Awanita Valley. I took my first youth group up there in 1986. And this year, Pastor Rob has asked me to be the speaker! I am so jacked about it. I've been wanting to get to know our kids better and this will be a wonderful opportunity for that...can't wait! - I'm out. My computer is freaking out for some reason this morning. Have a great day! - I really enjoyed being with our Hilton Head campus yesterday. Great things are happening there! - Two hundred were on hand to celebrate two years of God's faithfulness to us as we celebrated our island campus' birthday. - Four huge bouncy "things" for the kid's, the BBQ Krew fed us all, Cynthia and the worship band did an incredible job of leading our worship, Todd led so confidently from the stage and behind-the-scenes, and to top it off, they asked me to speak! - I loved being with our island peeps. I shared from Philippians 2, keeping us in our current series, and was able to communicate some vision, dreams, and God's call to us. - There are still thousands yet to reach. If not us, who, and, if not now, when? - I heard Brian did a great job preaching at the Bluffton campus yesterday and I can't wait to watch it on-line later this week. - By the way, did you know you can view messages from the Bluffton campus? And download messages from iTunes? Click here and follow the Messages link for the Bluffton campus. Click here for the HHI campus downloads. Then click on "Hear Our Weekly Podcast." - One of the most awesome things I saw yesterday at the HHI celebration were the volunteers from the Bluffton campus who came to serve to free others up to attend the worship celebration. You guys rock!! - Beach Baptism is soon upon us! This is always one of the coolest things we do as a church. We see changed lives personified and we celebrate (and eat)! Plan on attending ... Sunday, September 27th, 5 p.m., Chaplin Park, HHI. Watch the church blogs and worship folders for details. - One of my best ministry friends is leaving the area this week. Mark Beebe planted and pastored The Harbor, which meets at Shell Hall in Bluffton. Mark is joining the staff at Cokesbury United Methodist Church in Knoxville, Tennessee, to direct their Celebrate Recovery ministry and serve as one of their three campuses teaching pastors. He is so wired for this! Their CR program is the largest in America, averaging 400 people on Thursday nights. I'm going to miss you, buddy, but it's the right decision at the right time for the right reasons. - This Sunday, as we continue our Philippians series, we'll answer the question, "Will I be Happy When I've Reached the Top of the Ladder?" This will give us a wonderful opportunity of presenting the gospel again in a clear and understandable manner. Paul uses such vivid word pictures and gets to the heart of our relationship with God. - LCCer's, I'm asking you to do all you can to invite and bring someone with you this Sunday! Don't come alone this weekend ... Jesus will be preached .. lives will be changed ... we're partners in the gospel ... let's do this together! God wants to use you in a big way through one sentence: Will you come to church with me this weekend? - I'm totally pumped!! Can't wait for Sunday! - I heard good things from both campuses yesterday. Clay and Todd both brought strong messages. Thanks, guys, for leading us so well. - I went up to Clemson's opening game which turned out well for us. Had a wonderful time seeing extended family and friends I haven't seen in a while and enjoyed spending the weekend with Bryan and Tiff. - The Tigers looked decent against a middle-of-the-road foe. The real test is Thursday night against Georgia Tech in Atlanta. - There's nothing like sitting at a college football game in the rain. Yeah, I left a little early, but I was amazed at how many thousands of people sat through it. So I think, "They'll sit through the rain to watch 18-22 year-olds play a game. Then, why can't we get people to come to church?" - If we're bored with life, it's because we're following after our heart; not God's. Follow God's heart and life is exciting! - The Cross is important because I have failed. - I am jacked about this upcoming weekend! I will be preaching at one combined service (imagine: preaching only one service!) at the Hilton Head campus. We will be meeting at the HH High School Performing Arts Center and it's gonna be a blast! - Our HHI campus is two years old, averaging about 150 in attendance and really starting to come into its own. We are offering ministries for children 0 - 18 now and our outreach into the community has been healthy and strong. - So, this Sunday, we celebrate! Check the HHI campus blog for more information. - What do you think is on God's scoreboard for us when He looks at our lives? God's scoreboard for our churches? Something to ponder as we walk through this day. - If you missed yesterday's blog, "You Think You Know? ", check it out. - Happy Labor Day, everybody! - With the coming of the school year, there has also come a new energy at church these days. People are back, and even worshiping early! Our 8:30 a.m. service had the largest attendance we've seen there in quite some time. - Revolu$ion and Financial Peace University are off and running. Approximately 400 people are in FPU classes at both campuses! This stokes me because folks are getting some sorely needed help with budgeting, spending, giving, and overseeing their total financial picture. And we all need a dose of that these days. - We began the new series on Philippians yesterday called The Pursuit of Happiness. I am really looking forward to teaching through this wonderful letter that Paul wrote to the Christ-followers in Philippi. It is incredibly relevant to us today. - Yesterday we sought to answer the question, "Will I be happy when my circumstances change?" We found that Paul's example and teaching tells us that if we desire to have joy (not fleeting happiness) in life's changing circumstances, then we must: 1) rely on the power of prayer; 2) rely on the provision of the Holy Spirit; 3) Give Jesus first place in our lives; 4) be prepared to die, and; 5) decide to really live! - And the greatest thing that happened yesterday was that over 20 people confessed Jesus Christ as their Lord and Saviour. That is always awesome!!! - This week we tackle the query, "Will I be happy when my problems disappear?" If you want a head-start, then read Philippians 1:27 - 2:2. - We had a great time - and Bear, the world' greatest dog - went out on the boat with us. But we missed Lauren! She's coming home for a few days on September 9th and we're counting the hours! - Are you a leader? Do you lead creative people? If so, check out Tony Morgan's recent post on how to lead creative people. It's short, to-the-point, and helpful. - LCC's own, Al Allnoch, is serving Christ in South Africa and he shares a wonderful story about a recent ministry opportunity utilizing the film, "Facing the Giants." Check it out here. And today is our daughter's birthday! Tiff, you have always been an absolute delight and joy to your mom and I - and you're sisters would say the same thing! We love you and wish God's richest and choicest blessings upon you. HAPPY BIRTHDAY! We love you. - What a fun day we had at LCC yesterday! - Great time of worship and a real sense of excitement as we have started Revolu$ion. There's still room and time for you to register if you do it now. Click here. - We are beginning to understand and live a new kind of normal. Debt is normal; we want to be abnormal. Having no savings is normal; we want to be abnormal. Using credit cards as an emergency fund is normal; we want to be abnormal. Retiring with $10,000 as the average American does is normal; we want to be abnormal. - Financial Peace University has helped thousands of people in great ways. Darlene and I are just two of them. And now hundreds of LCC peeps are being, and will be, greatly aided by this tremendous and biblical ministry. - Following the third service we had a picnic/water wars afternoon. It was a fantastic time. We tailgated, ate out in beautiful weather (yeah, hot and sticky, too), got to meet some new people, got to know one another better, and watched HUNDREDS of LCC kids have a soaking wet blast. - Schools start back this week. Teachers and administrators, you all are in our thoughts and prayers. We appreciate all that you do for our children. You are underrated, underpaid, and underappreciated. But you are doing one of the most important jobs in the world! I wish you were being paid the millions instead of entertainers and ball players. - I'm pumped as we begin a brand new series this coming weekend called, "The Pursuit of Happiness." We'll be taking a walk through Philippians - one of my favorite books. - This coming Sunday's message is entitled, "Will I Be Happy When My Circumstances Change?" Author Henry James said, "The best use of your life is to invest it in something which will outlast it." Good advice. Ever wonder why God doesn't just translate us to heaven after we're saved? Because he's got some work for us to do. And it's eternal. Can't wait to unpack this! - We have an LCC elder meeting this Thursday, and as always, we appreciate your prayers for wisdom and guidance. I am privileged to serve with, and we are privileged to be led by, a great group of elders. - I'm excited as we enter yet another new season of ministry. Good things are happening: longed-for help to hundreds in our church in the area of finances and stewardship, reaching out to thousands in our community, and new levels to which God wants us to climb! Let's go!